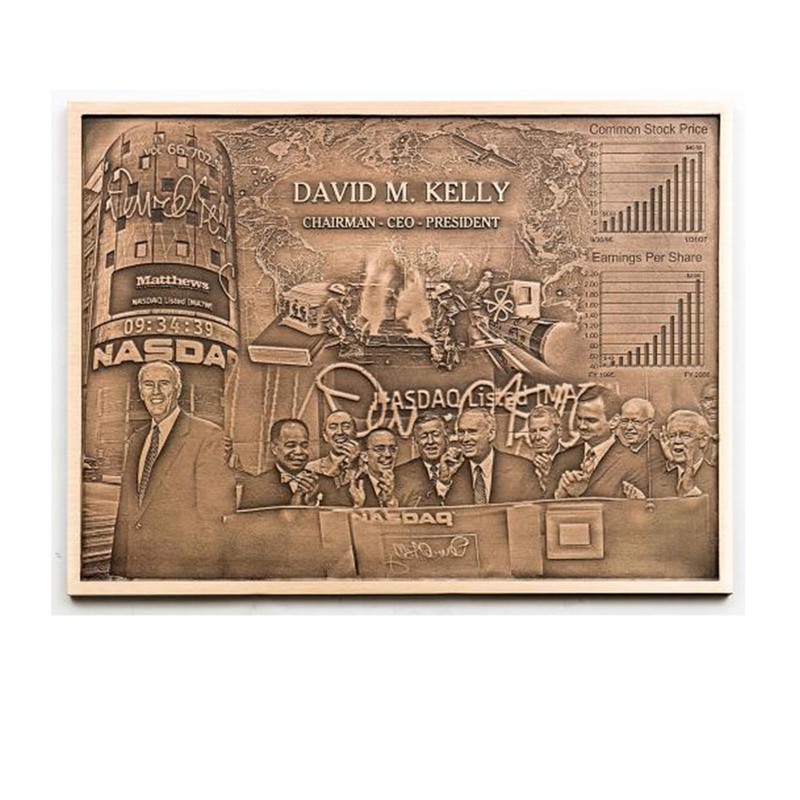 Our Cast Bronze Image Plaques are cast in bronze using a manufacturing process that combines age-old casting techniques with the latest technology to produce superior quality plaques. 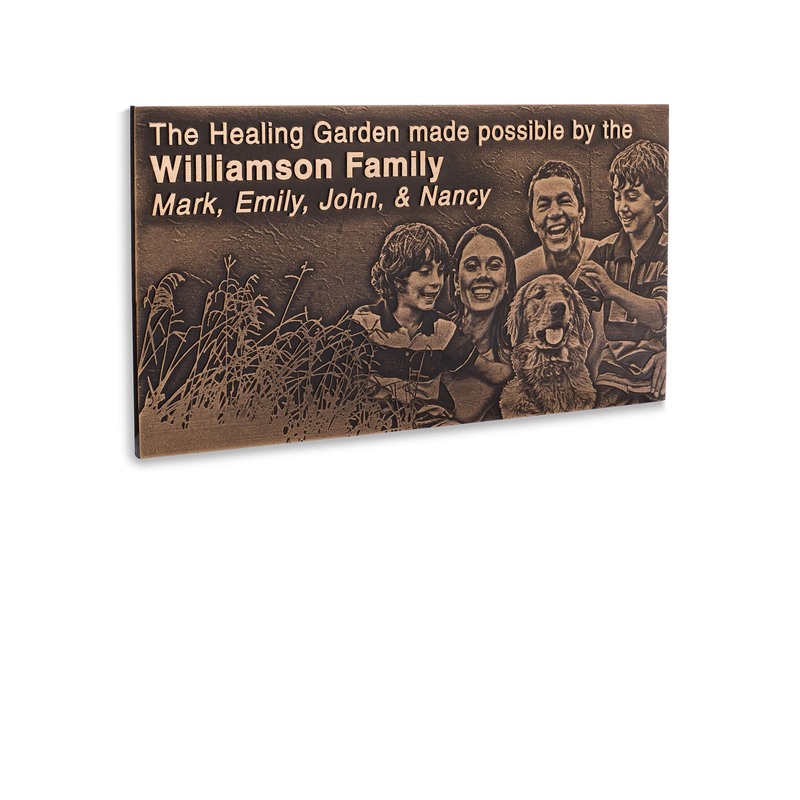 Our traditional cast bronze plaques lasts for generations inside or outside. 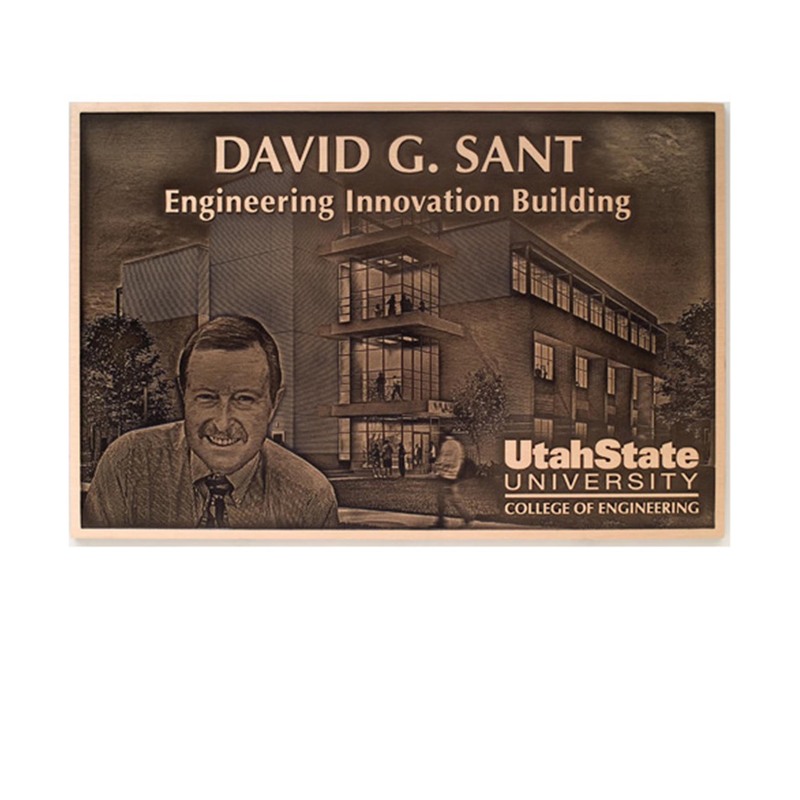 Our bronze plaques are made with superior alloy and truly cast in sand, so they are thicker, harder and more durable than any mass-produced and routed plaque. Your image and text are cast into 1/4″ satin bronze to create a timeless look with leatherette texture. Also available in Cast Aluminum. Simply provide desired photo(s) and text. We will convert the photo to artwork that is useable with the casting process. Production of this plaque takes about 4 weeks. If you are on a timeline let us know; Rush orders are available. Our bronze plaques have a few mounting methods available. Installation is simple with instructions and all hardware included in each package. Stud mount – Recommended for concealed mounting on brick or masonry walls. Rosettes & Toggle Bolts – Work well with hollow tile, cement block or drywall surfaces. Rosettes cover the machine screws and are optional. Garden Stake – 24″ long stake attaches to back of plaque with machine screws at a 30 degree angle. Stake is painted black or to match painted background color. (Additional $70 per plaque). We ship our products through UPS Ground, and normally takes 2-4 days to arrive. 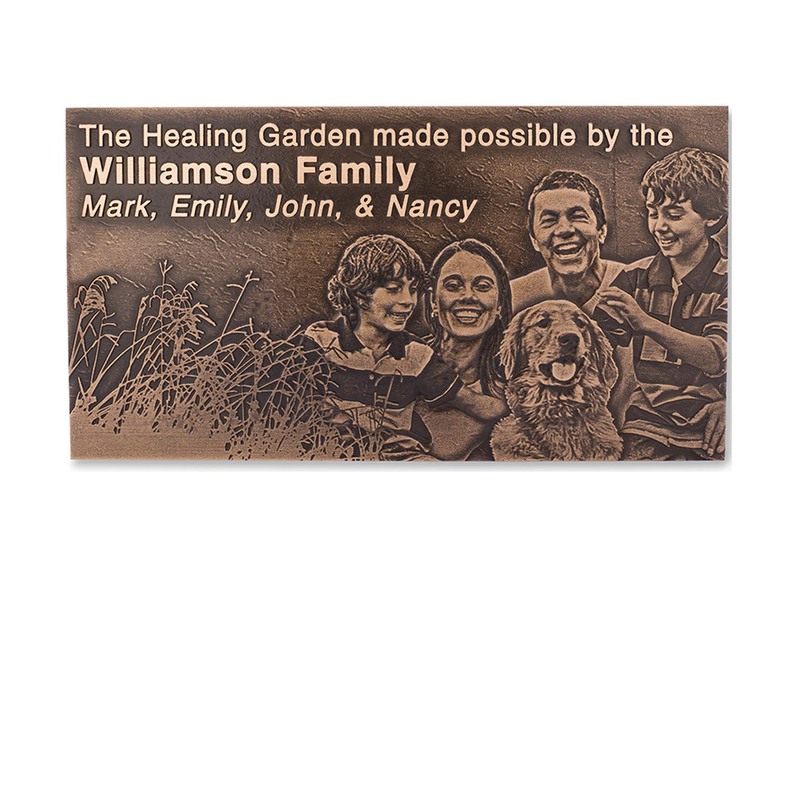 Our bronze plaques include an innovative cast bronze process that combines the enduring look of a photograph with your text. Use this plaque to recognize and/or memorialize the person you wish to honor. Fill out the form below to see what your Cast Bronze Image Plaque will look like; Please specify if you have desired font, logos, or color preferences.